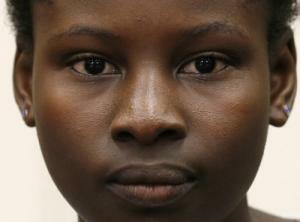 Thursday May 22, 2014 - US Congress hears the story of a teenager who survived a Boko Haram attack on her home. Deborah Peter's story rings a bell with those who witnessed the RUF/AFRC invasion of Freetown on January 6, 1999. Three days before Christmas in 2011, gunmen came in the evening to the door of Deborah Peter’s home in northern Nigeria. Her father, a pastor, was in the shower. The men, part of the Islamist terrorist group Boko Haram, dragged him from it and asked him to renounce his faith. When he refused, they shot him three times, in the chest. Deborah takes up the story. My brother was in shock. He started demanding, "What did my dad do to you? Why did you shoot him?" The men told him to be quiet or else they were going to shoot him too. Then, the men discussed whether they should kill my brother. One of the Boko Harams said they should kill Caleb, my brother. The second man said that he was just a boy and that he was too young to kill. But the third man said that they should make an exception in this case because Caleb will only grow up to be a Christian pastor. Caleb asked me to plead with them for his life but they told me to shut up or they would kill me too. The leader agreed that they should kill him and shot my brother two times. My dad had still been breathing but when he saw them shoot Caleb, he died. My brother fell down but was still alive and gasping. The men shot him in his mouth. Then, my brother stopped moving and died. I was in shock. I did not know what was happening. The men put me in the middle of my dad and brother’s corpses, told me to be quiet or be killed, and left me there. I stayed there until the next day when the army came. They removed my dad and brother’s bodies to the mortuary and took me to the hospital. Meanwhile teachers have today abandoned their classrooms which were shut as they took to the streets of the capital Abuja to protest against the evils of Boko Haram. Teachers across Nigeria have held a day of protests in support of more than 200 schoolgirls seized by the Islamist group Boko Haram last month. Teaching unions said they were also marching in memory of the 173 teachers killed by militants. It follows two days of bloody attacks in the country, in which nearly 150 people have been killed. Nigeria's government is under pressure to do more to tackle Boko Haram and bring about the girls' release. US President Barack Obama on Wednesday said he had deployed 80 military personnel to neighbouring Chad to help in the search. A UK spy plane sent to help look for the girls has arrived in Ghana, after it broke down and was forced to land in Senegal. A Ministry of Defence source told the BBC it was now ready to be tasked to help Nigerian and US military efforts to locate the girls. The girls were taken from their school in Chibok, in north-eastern Borno state, on 14 April. They are thought to be held in a remote forested area of the state, close to the border with Chad and Cameroon. The UK-based Daily Mail has a story of moves by the international community to help Nigeria address the threat from Boko Haram which is now seen as a regional, if not a global threat. 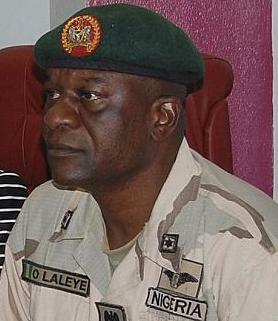 Despite the spiralling bloodshed, Nigerian army spokesman Brigadier General Olajide Laleye yesterday insisted that victory was close. He dismissed reports of troops suffering from low morale and lack of basic equipment, including bullet-proof vests. 'I make bold to say that the Nigerian Army is steadily and surely reversing the ugly menace of terrorism and insurgency in the northeast part of this great nation,' he said at an army recruiting campaign. The world keeps the candles of hope burning in the hope that the girls were safe and well, but given the terrain and conditions under which they could be held, there are prayers all around for their safety given the track record of Boko Haram. Meanwhile, the rat continues to sit tight at a State House full of smoke and mirrors not daring to condemn Boko Haram as his kitchen operatives from the AFRC/RUF coalition of evil are given prime time in his mental broadcast system.